Hits from the 60s, 70s, 80s and 90s. PMF are a lively dance band who have been entertaining audiences since 1997. They have been a resident act at Aucklands prestigious Viaduct Harbour since 2001 and are also contracted to Auckland’s SkyCity Casino. 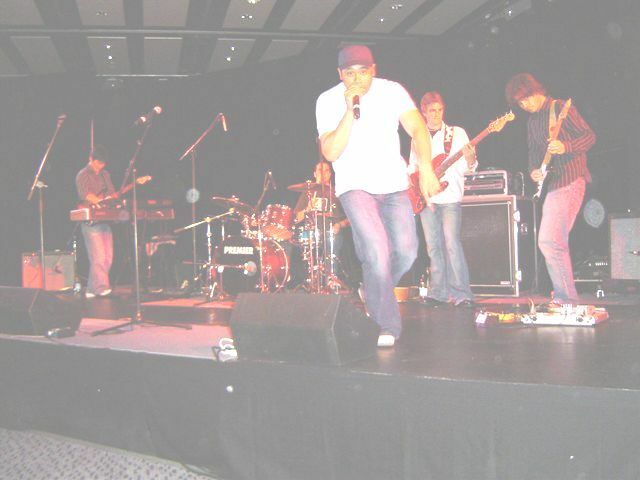 PMF has performed at the Pasifika Festivals and was a semi-finalist in the 2006 Battle of the Bands. PMF performs mainly hits from the 60s, 70s, 80s and 90s. With around twenty years experience in the covers circuit they have a huge repertoire and are happy to take requests on the night or even play alongside on the night idols!! PMF has recently returned from an acoustic tour of the UK and Italy, playing at the prestigious Edinburgh Festival and local venues throughout the northern district of Venenzia in Italy. The chief Councillor of the Edinburgh Festival Brian Faloon was so impressed that he has invited PMF to participate in next years festival. A sound system is provided by this artist that can support an audience of up to 500 people. DGM can provide a larger sound system to support your event if required.